For these packages below, we will offer the account you selected, and then train it for you. After we done the 55 slayer, you will have around 61 ranged and 60+ magic skills too. 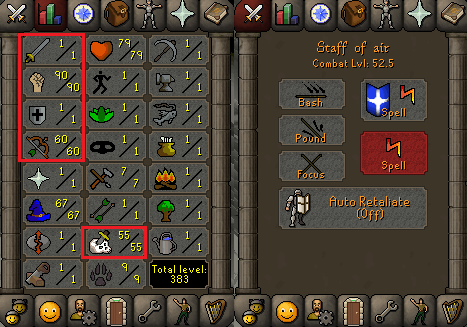 OSRS obby mauler account combat level 47 with 1 attack, 80 strength, 1 defense, 70 hitpoints, 60 ranged, 1 prayer, 62 magic. 55 slayer. obby pure account with slayer staff , trained by our own gamer ,100% safe to buy.